So, the 2018 holiday season started last Thursday in the United States with Thanksgiving, quickly followed by the inescapable ‘shopping’ holidays of Black Friday and then Cyber Monday. Of course, these shopping events are no longer limited to within U.S. shores as Black Friday and Cyber Monday are now a worldwide phenomenon (even if people have no clue, and really don’t care where they originate from). The other feature is, of course, that these ‘sales’ are quite protracted, and not simply limited to the Friday and the Monday. Offers often extend for a fortnight or more, encompassing every possible type of business – hotels, travel, pharmacies, bed linen, food stores – you name it and there’s an offer on the table. A great opportunity for early Christmas shopping! Locally, it appears that at least one of our local mayors has also been swept up in the fervour of Christmas. 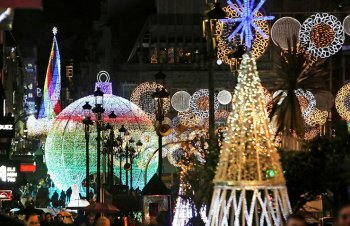 The streets of Vigo are now adorned with a Christmas light show costing more than one million Euros! 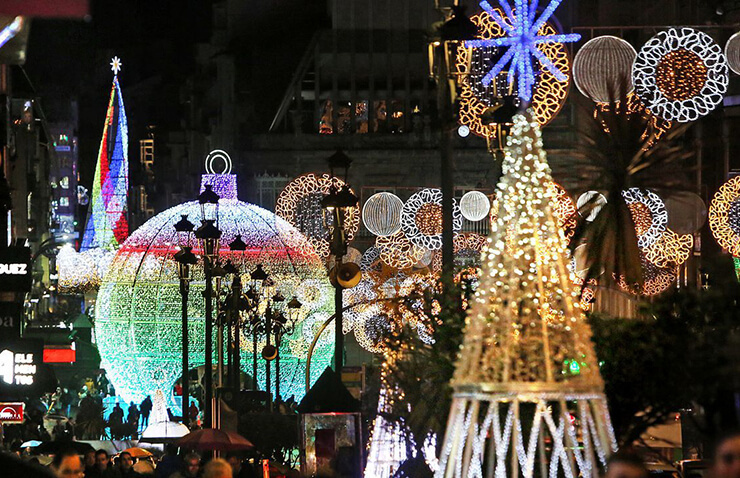 When he announced the lights, the mayor said that Vigo would surpass Christmas in New York, London, Paris, Tokyo and Berlin (a bold claim indeed for a small provincial city)! His apparent extravagance has certainly raised a few eyebrows, but at Sunday’s inauguration (when the mayor inexplicably attempted to make his speech in English), he claimed that local businesses would benefit hugely from local tourism. Judging by the crowds, he might actually have a point!